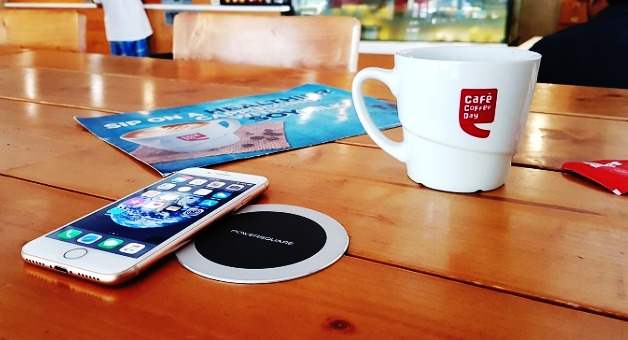 India's largest cafe chain Cafe Coffee Day has partnered with one of the leading wireless power solutions provider in the world, PowerSquare, to unveil India’s biggest wireless charging network for cafes across the country. The network has installed 300+ wireless charging spots across 100+ cafes in leading metros like Bengaluru, Chennai, Mumbai and Delhi. Café Coffee Day is the youth’s favourite hangout destination. With mobile being an integral part of its young consumers’ lives, India’s largest café network is strengthening its digital technology to keep its customers connected at all times. 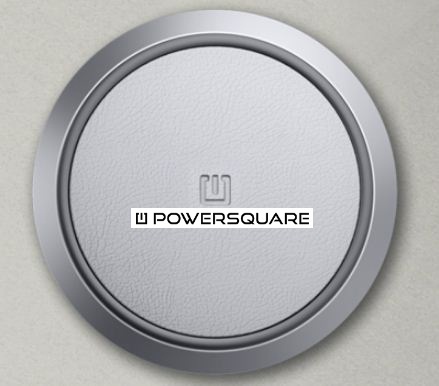 After making free Wi-Fi available nationally at several cafes it is launching wireless charging, another category first, in partnership with PowerSquare. Customers visiting Café Coffee Day can now place their Qi-enabled smartphones on the surface and wirelessly charge their phones. This eliminates the constant hassle of carrying charging cables. This smart wireless charging modules designed and developed by PowerSquare will be installed on café tables, bringing the convenience of wireless charging to café customers. Consumers rely heavily on smartphones and a draining battery is a constant concern. Often, frequently visited cafes and restaurants do not have multiple slots to charge phones. PowerSquare’s wireless charging technology will help address this problem by charging any Qi-enabled smartphones effortlessly without worrying about cables and power slots. This launch is the first step in Café Coffee Day’s strategic partnership with PowerSquare and will soon offer wireless charging to customers across all their cafés in India. Cafe Coffee Day and PowerSquare will be expanding this service across cafes in other cities including Hyderabad, Pune, among others.